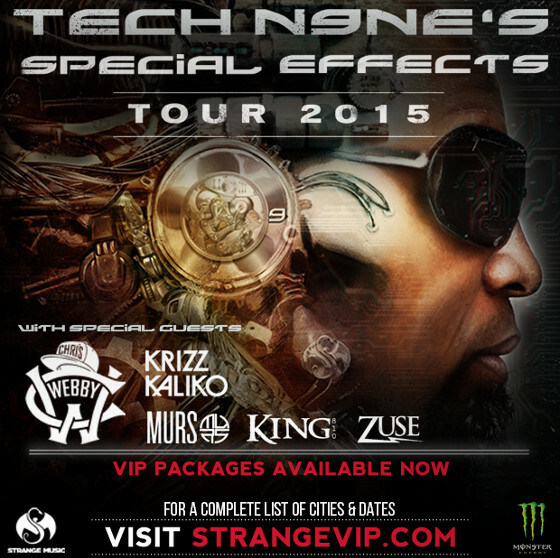 Prepare for another massive year of touring for Tech N9ne! 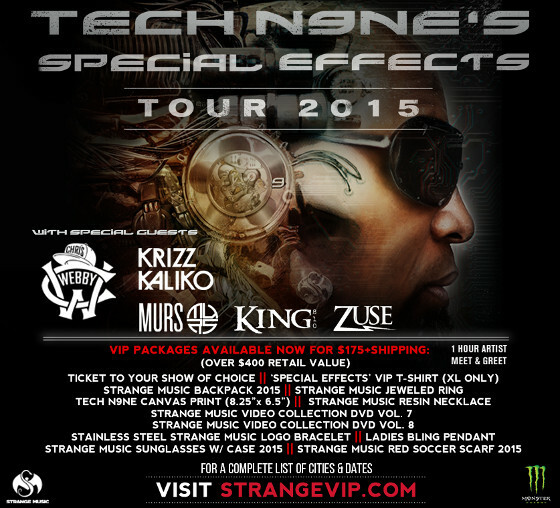 The Kansas City rapper will be heading out on Tech N9ne’s Special Effects Tour 2015 this Spring. Tech will be joined by indie-rap mainstay Chris Webby, along with label mates Krizz Kaliko and MURS, Flint, Michigan’s King 810 and Jamaican rap-phenom, ZUSE. Get your VIP Package and tickets now! SO KEEP LOOKING OUT FOR YOUR CITY AT STRANGEVIP.COM!